After having spent three days in Dubrovnik and Split, towns that are laden with historical monuments and museums, we are now in Hvar. I had a great time walking through the cobbled streets of these towns, imagining myself to be the Princess, playing hide and seek in the alleys. However, Ankur’s logical brain does not let him play Prince for even a second! Obviously, arriving at Hvar has made Ankur really happy as I have promised him that we will not go to any historical monument. Hvar is only for loads of sun, beaches and glasses of locally produced wine. Jerolim is part of the Pakleni archipelago and is about 900 meters from the port at Hvar Town. I was really tempted to try and swim to the island! I have learnt not to give into such instantaneous temptation for the sake of dear life! Jerolim is a small island – you can walk around the entire island in less than one hour. The island has rocky beaches, silent coves and a small pebbled beach as well. It is the perfect place to spend a day with a picnic basket. While the island is popular with with the naturist community, there are family beaches as well that everyone can enjoy. 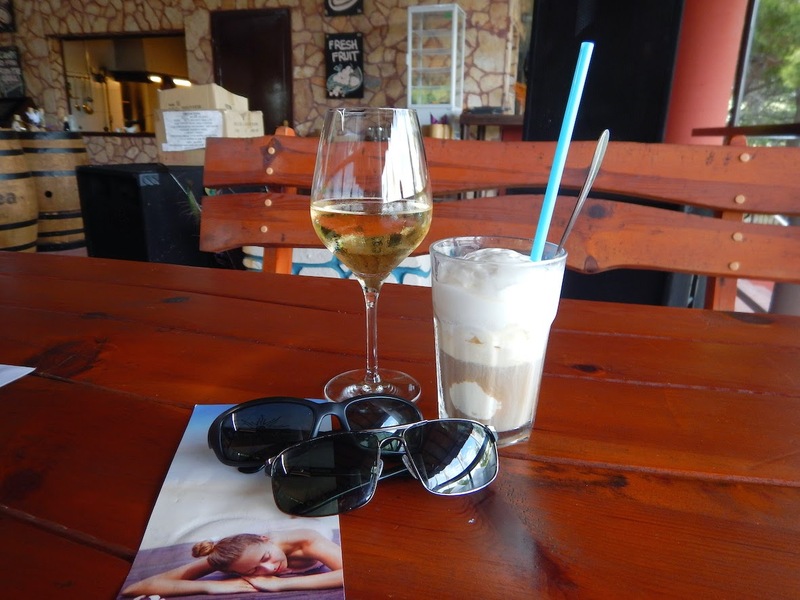 Hvar: This is what a beach vacation is all about! You can reach Jerolim either by renting a boat (KN500 for the whole day, which can be used to get to Jerolim or any other island that is part of the Pakeleni archipelago) or by taking a taxi boat (KN40 for a return ticket). Our spirit of adventure kicked in and we decided to a rent a boat. Ten minutes of instructions on how to operate the outboard motor that drives the boat, we were off in the open seas. It was a windy day and waves were over a meter high – not the best day to set out for our maiden sailing voyage. While we did manage to reach the Pakeleni island, our discomfort in docking and anchoring the boat in the choppy waters made us give it back within two hours. Learning to sail a boat has now gone into my bucketlist! After having returned the boat at about noon, we piled into the taxi boat which dropped us to Jerolim in less than 15 minutes. Boats leave every 30 minutes and the last boat back from Jerolim to Hvar Town is at 1900hrs. This is the recommended thing to do if you are a novice at sailing or are on a budget. It’s an island….there are beaches all around! Like most beaches in Croatia, the beaches are Jerolim are rocky. The rocks are sharp and rugged – suggest wearing good shoes if you intend to trek around the island. As you disembark from the boat, you are at the Amo Beach Bar. There are plenty of loungers and sun beds to choose from. The rental for the day is between KN 40 -70. However, as it is a bar, it is fairly crowded and there is good music playing as well. If you like the urban feel to a place while to enjoy the sun and the sea, this might be the place for you. 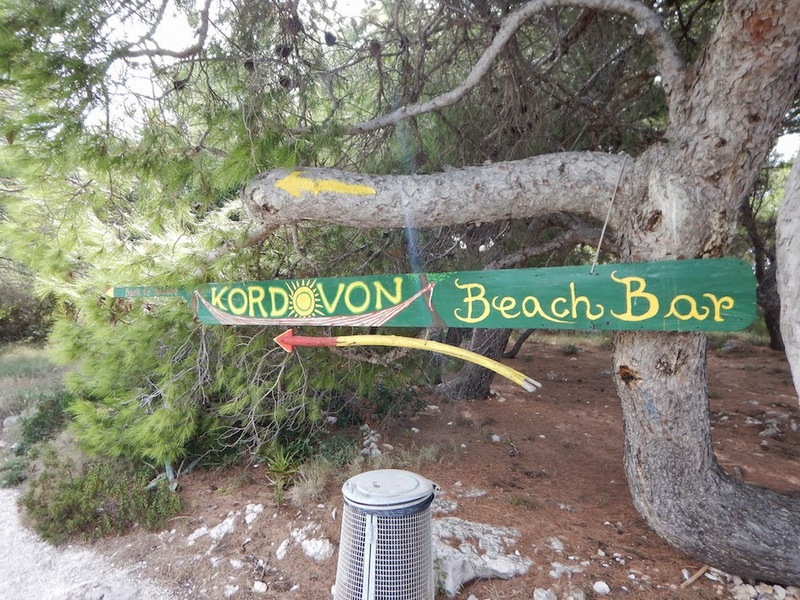 Hvar: Amo Bar at Jerolim Beach… A bar with a view! After disembarking from the boat, to your left, there are a lot of smaller rocky beaches that have an entry to the sea with a ladder. You can spread out your beach towel and make the little piece of land your home for the few hours of picnicking. The area is lined by pine trees where you can take shelter from the sun in the peak afternoon. These beaches have a view of Hvar Town, with its red tiled roofs. 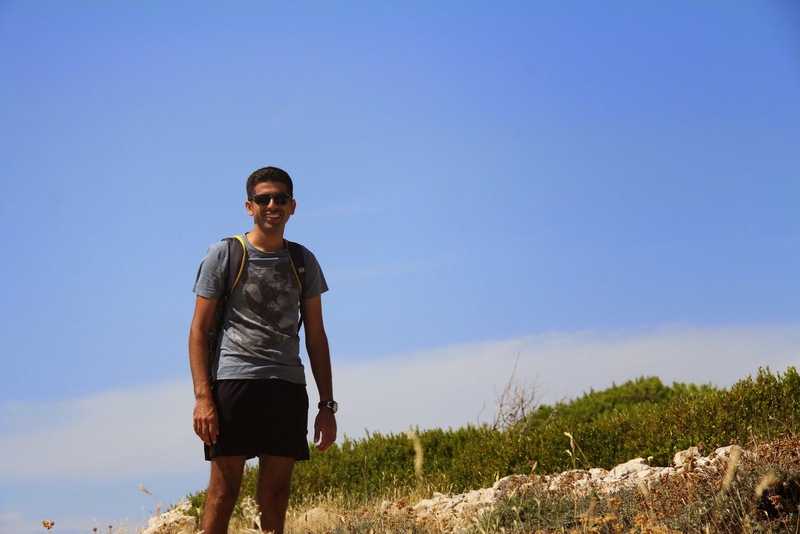 Hvar: Ankur hiking along to find his slice of paradise! If peace and quiet is what you seek, then disembark at the jetty in front of the Amo Bar and continue walking straight. You will see a sign that says ‘Kordovon’. Continue along the dirt track and you will reach a pebbled beach with clear water and buoys that mark the swimming areas. You can rent the sun beds and an umbrella too! If you do not wish to rent any of this, suggest that you carry an inflatable float or a cushy folding sun lounger of your own. The areas to left and right of this beach are nudist areas. Hence, much less crowded. You may choose to park yourself at the pebbled beach, sheltered by pine trees, which is a family area as well, if you are comfortable. Facing the pebbled beach, the island curves to the right. The rocks are sharp but the stretch is relatively empty, with only a couple of people after every 50 meters of so – superb for sunbathing. However, there is no ladder access to the sea and there are no trees to give any shade in the strong afternoon sun. If toasting yourself brown is on the cards….plonk yourself here! And if you intend to do so, please invest in a sun umbrella and inflatable sun bed. The Amo bar has some great food at reasonable prices. Well, reasonable, not budget! A meal for two, with a glass of wine each costs approximately KN200. After a day of sun bathing and swimming, if you wish to have some warm food or fresh salad, this is the place to go to! They also have a peacock and a peahen- nice! The Kordovon bar serves some alcoholic and non alcoholic drinks and some basic food including salads. This is a quieter place with lots of hammocks and swings. Our favourite thing to do while island hopping is to carry a picnic. 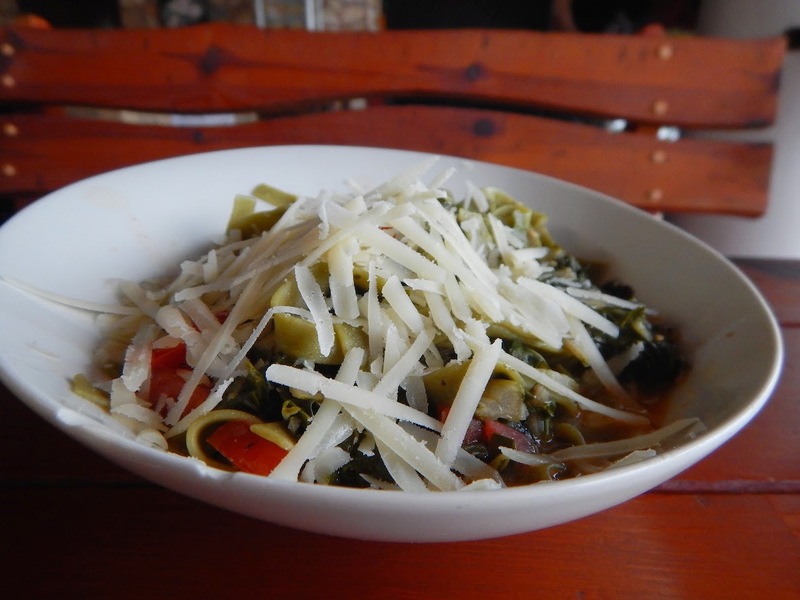 There are some very good bakeries and pasta outlets in Hvar Town. Get something of your choice packed, pick up some iced coffee and tea from the supermarket – that is all we need to enjoy the day playing Robinson Crusoe! Well, what can you do on a beach? 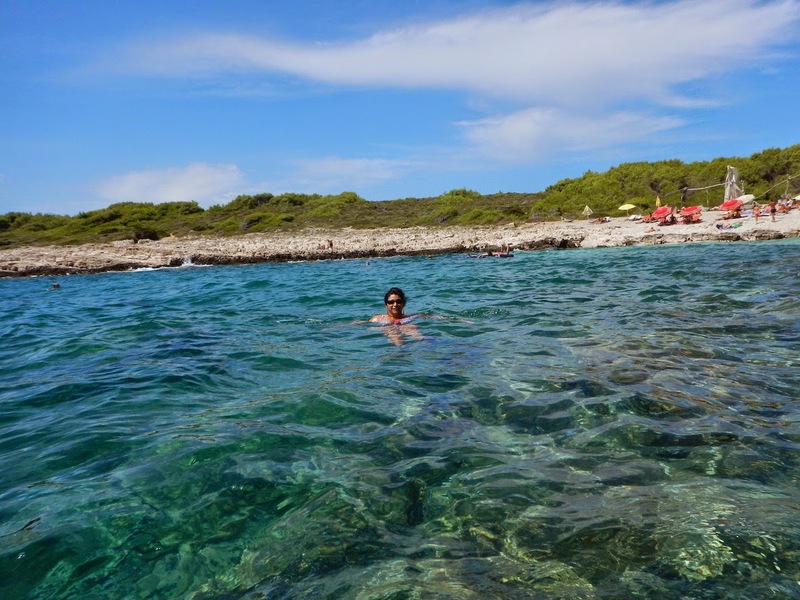 Swim… sun bathe… enjoy some good music… say sweet nothings to each other… enjoy your picnic basket… trek around the island… or like me… get inspired to write a blog! You can also get a massage done at the Amo Beach Bar with the local lavender oil or experiment the sound therapy massage that they offer. The massages range from KN 170 to KN 250. A day at Jerolim was a day well spent… charged us up totally. We intend to explore the vineyards at Hvar later today… or maybe the Blue Grotto. Looking at the map, it seems that Hvar city to the water taxi port is about 30 min by car… how did you guys get here? Did you guys have a car for the 3 days that you were in Hvar? We took a ferry from Split to Hvar Town. We did not have a car that needed to be transported by the ferry. The car ferries are slow and go to Stari Grad. The fast catamarans go to Hvar Town. 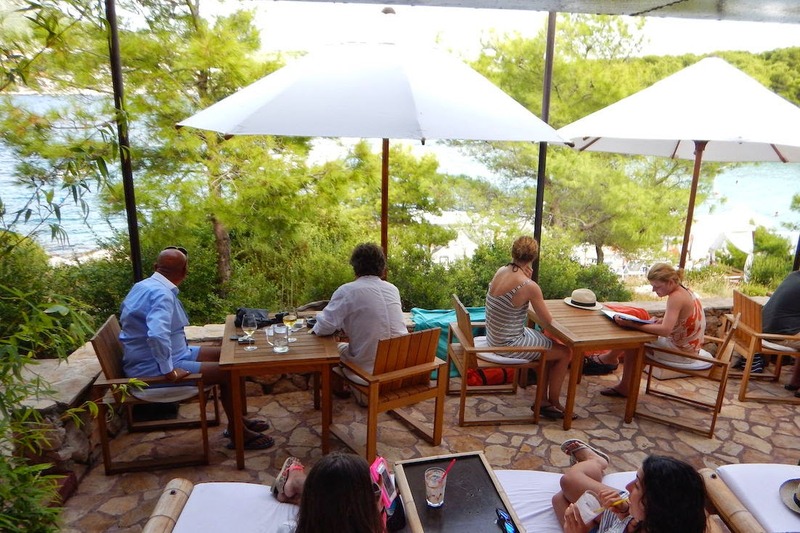 We recommend this and staying in Hvar Town as well. 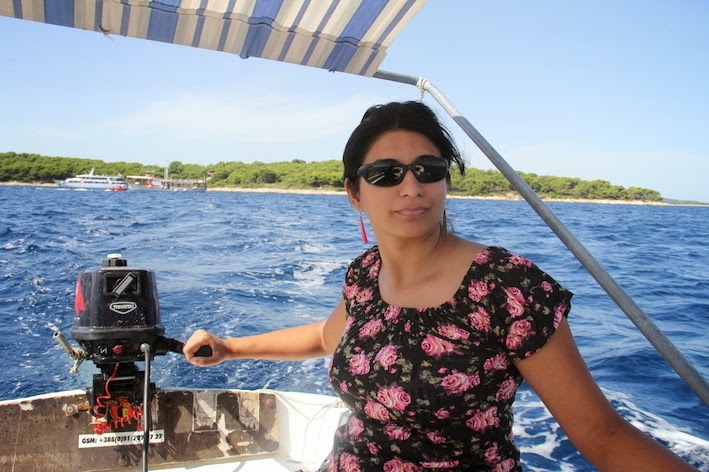 To explore Hvar, we rented a car …but only for one day. Second day, the blue grotto, green grotto and island hopping. Third day, rented the car and went around the island. Hi! I found this blog quite interesting seeing that I’m about to visit Croatia. I’m going to stay in Split, but I’m looking for some beaches to spend a couple of days enjoying the beautiful waters of this country. I think Jerolim looks pretty cool, but I would like to make sure that the water taxi docks are easy to find in Hvar, so that getting on this tiny island will be easy. You blog is the only one saying something more precise, but still I don’t understand where to take the water taxi in Hvar. Can you help me? Thank you. Hvar Town is the place!